WASHINGTON — Congressional Democrats charged Tuesday that Republicans are seizing on a health adviser’s self-described “thoughtless” and misleading remarks to attack President Barack Obama’s signature health care law. 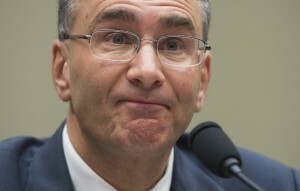 The adviser, MIT economist Jonathan Gruber, told groups last year that the “stupidity of the American voter” and a “lack of transparency” were important to passing the legislation in 2010 without any GOP support. Appearing before a House Oversight panel Tuesday, he expanded on earlier apologies. The hearing came as prominent Democrats debate the wisdom of devoting much of 2009 — Obama’s first year as president — to the bruising battle for the health care legislation, which finally passed without a single Republican vote. Sen. Chuck Schumer of New York is among those Democrats now criticizing the timing. Top liberals are defending Obama, creating new divisions among Democrats right after major losses in this year’s elections. Like many congressional hearings, Tuesday’s session may provide partisan fireworks while doing little or nothing to change government policy. The president says he will veto any effort to overturn the health care law, should such a bill reach his desk after Republicans add Senate control to their House majority next year. Also testifying Tuesday was Marilyn Tavenner, administrator of the Centers for Medicare and Medicaid Services. Issa denied her request to be placed on a separate witness panel from Gruber. Tavenner is on the hot seat because she gave Issa the wrong enrollment figures when she last testified in September. At that point, she said there were 7.3 million people signed up through the insurance exchanges that offer subsidized private coverage under Obama’s law. It turned out her agency had over-counted that by about 400,000 people, an embarrassing discrepancy discovered by Issa’s investigators after he demanded to see the records. The corrected number for 2014 is 6.7 million. Tavenner apologized for the mistake Tuesday, saying it was caused by an inadvertent double-counting of people with both dental and medical insurance coverage. Issa’s bare-knuckled inquiries into administration policies and missteps have often infuriated Democrats while providing welcome fodder for conservative talk shows, speeches and campaigns.